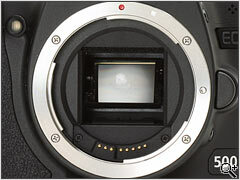 On the bottom of the 500D is a metal tripod socket which is aligned exactly with the center line of the lens and the focal plane of the sensor. Otherwise there's little to report here. 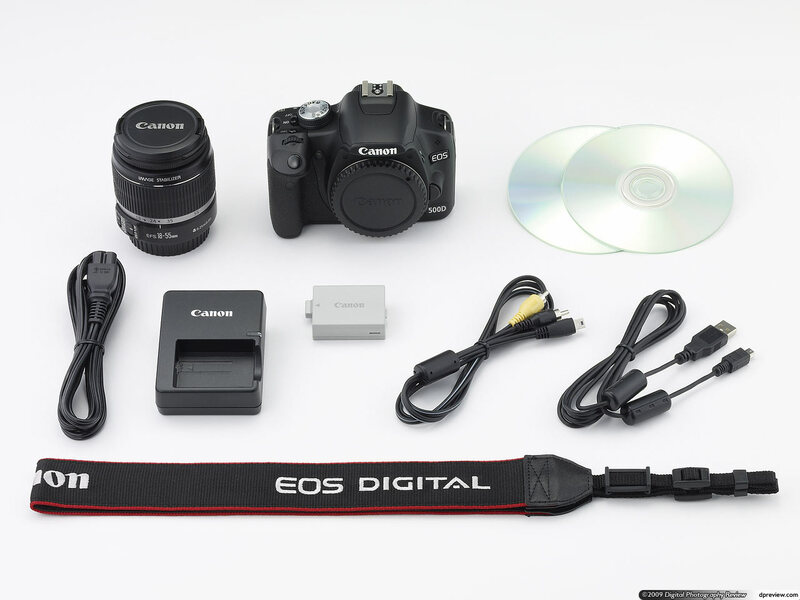 The EOS 500D's pop-up flash has the same specifications as its predecessor (and all models of this series back to the the EOS 350D) with a range of approximately 3.7 m (12.1 ft) at wide angle using the 18-55 mm kit lens or 2.3 m (7.5 ft) at telephoto (guide number 13). 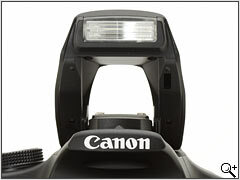 The camera utilizes Canon's E-TTL II flash metering system which combines subject distance information gathered from the lens with measurements taken from a brief pre-flash before the main flash to determine flash power. 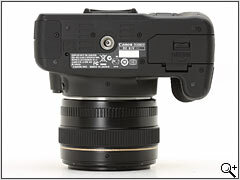 The built-in flash can sync up to 1/200s and has an electronic pop-up release, in Auto exposure mode the flash will raise itself when required. 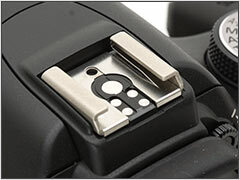 As with previous 'Rebel series' cameras the EOS 500D uses its flash for AF assist. 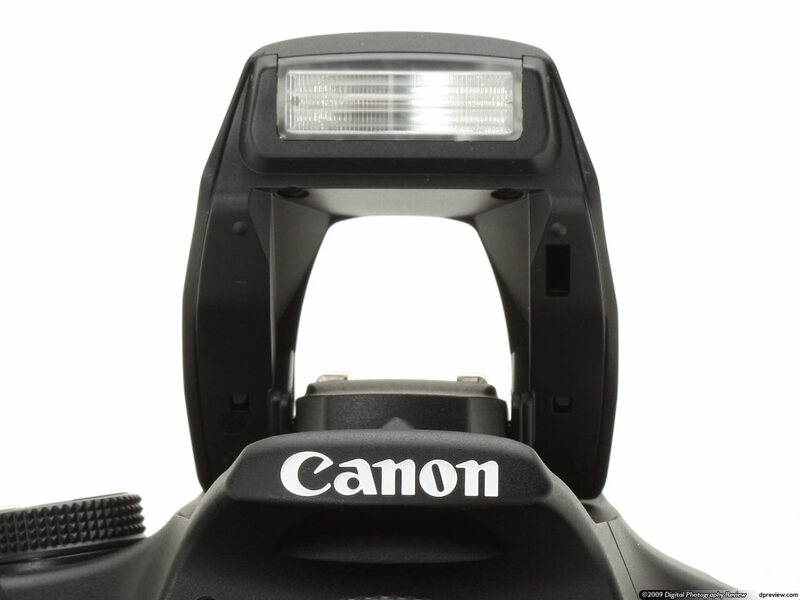 If you need to use AF Assist you must pop-up the flash which will fire a brief strobe of flashes (sometimes just one) to help the AF system to lock. 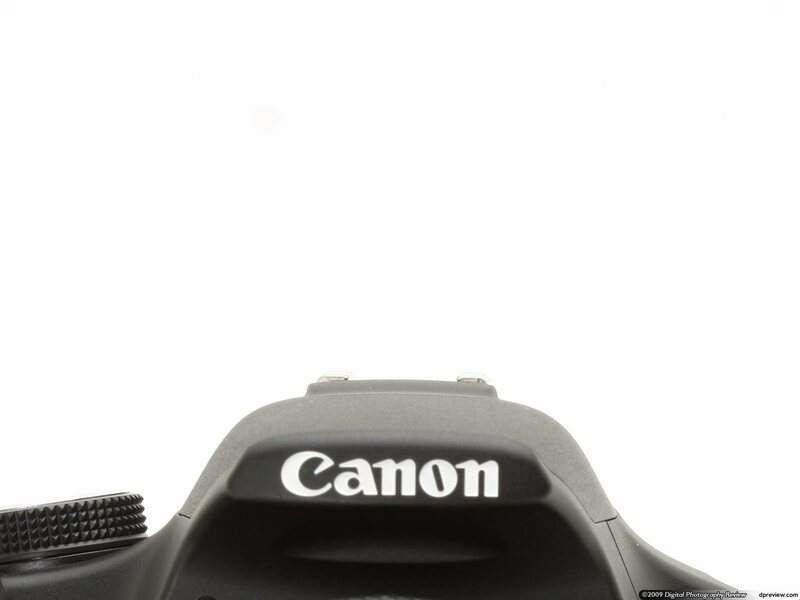 The EOS 500D's hot-shoe can be used with Canon and third party flashes (although sync only on most third party units). 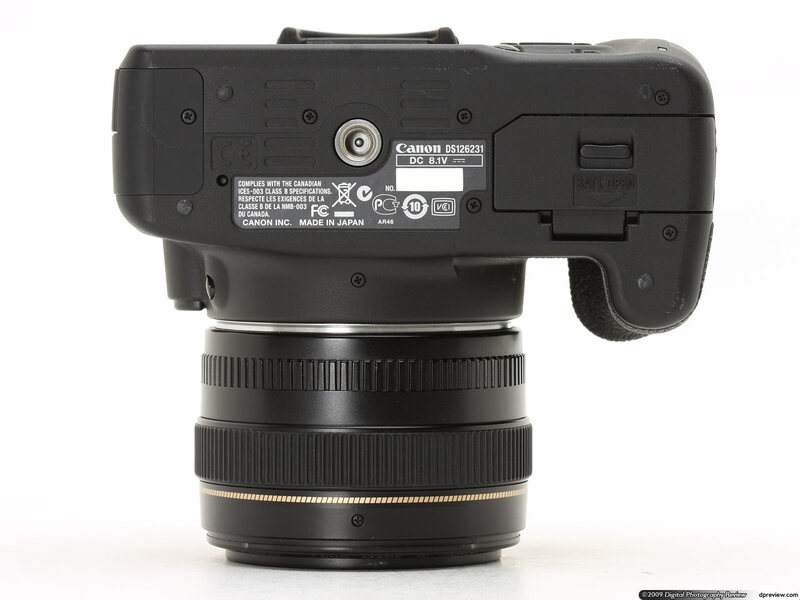 The hot-shoe is E-TTL II compatible. Compatible flashes include the Speedlite 220EX, the new 270EX, 380EX, 420EX, 430EX, 430EX II, 550EX, 580EX, 580EX II, Macro-Ring Lite, MR-14EX, Macro Twin Lite MT-24EX and Speedlite Transmitter ST-E2. 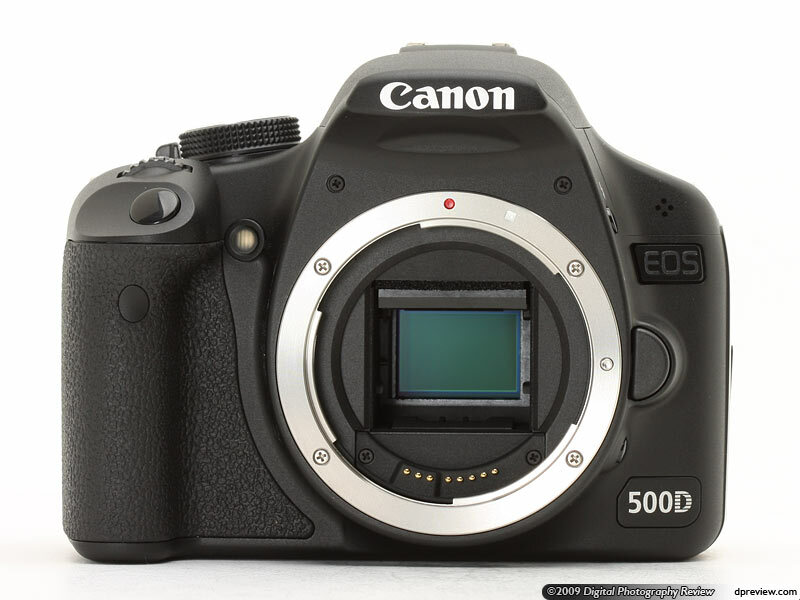 The EOS 500D has a metal EF / EF-S lens mount which means that it can use the full range of Canon EF lenses as well as the designed-for-digital EF-S lenses. 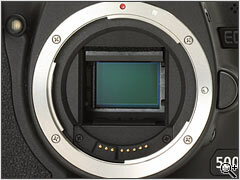 Because the sensor is smaller than a 35 mm frame all lenses are subject to a field of view crop (sometimes called focal length multiplier) of 1.6x, thus a 17 mm lens provides the same field of view of a 27.2 mm. 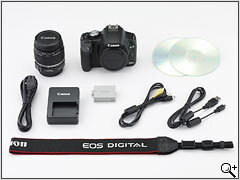 Items listed below are for the kit version (includes the EF-S 18-55 mm IS lens), note that there is no storage card included with the EOS 500D. 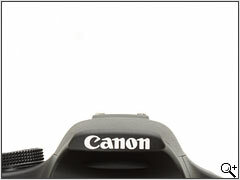 The body-only version is exactly the same, except that the lens is not included.